Beer lovers know there’s no list big enough to contain the number of breweries in the U.S. worth planning a vacation around. Boy, did they let us know it. 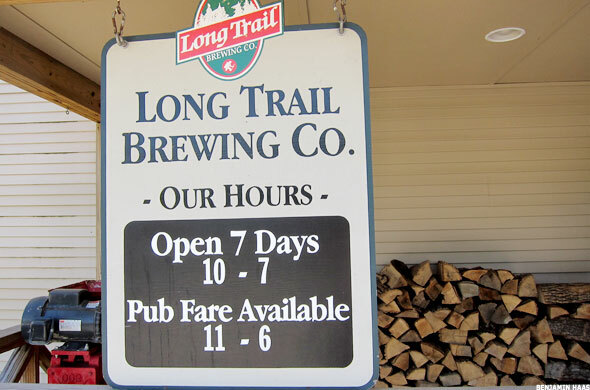 Back in May, we published a list of 10 best craft beer vacation destinations. While well-received in certain well-covered corners of the map, it elicited considerable consternation from jilted areas not only for what was included, but what wasn’t. Such things are to be expected in a growing industry. Craft brewing was up 11% by volume and 12% in sales last year, to $7.6 billion, according to the Brewers Association. More than 1,750 breweries operated for some or all of that year, giving the U.S. its largest pool of breweries since the late 1800s. Paul Gatza, director of the Brewers Association, estimates that the majority of Americans live less than 10 miles from a brewery. That’s a lot of folks who feel their regions and breweries were wrongly left on the cutting-room floor and a lot of fans of the little guys — including the 55 brewpubs and 97 microbreweries that opened last year — who don’t like seeing craft brewing big boys such as Sam Adams maker Boston Beer(SAM_), Magic Hat owner North American Breweries and the much-debated Yuengling hog the spotlight while states with solid craft beer credentials get skipped.